Most people are already familiar with drip irrigation—they’ve used soaker hoses in the garden or seen those thin tubes in greenhouses or even in orchards. However, on large-scale agricultural lands within Wisconsin, drip irrigation is rarely seen. 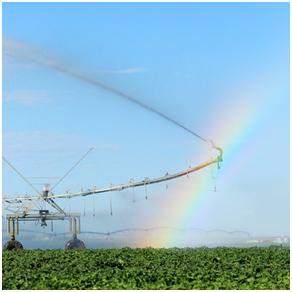 Since water is usually plentiful in the state, irrigation is delivered to crops with overhead sprinklers, traveling water guns or with rotating center pivot systems. This doesn’t happen in areas where water supplies are scarce. In other grower regions – either in the U.S. or worldwide – growers use watering systems that can be controlled to only deliver the exact amount of water the plants need, via the system known as drip irrigation. Drip irrigation was first used commercially in Israel in the mid-1900s when the advent of plastics made it possible. It continues to be a dominant form of irrigation in many arid (dry) regions where water is the most limiting factor in crop production. In the U.S., drip irrigation is found predominantly in dry agricultural regions, such as California and Florida, where hundreds of thousands of acres of high-value crops are produced using drip irrigation. Historically, drip irrigation had been primarily used with permanent tree and vine plantings, but new research and applications have made it increasingly desirable for specialty crops, vegetables and even row crops like cotton and corn. In Wisconsin, less than 1% of the 500,000 irrigated acres use drip irrigation (under surface drip, subsurface, trickle or other forms of micro irrigation) and much of this acreage is in small-scale vegetable production. Wisconsin growers may not face the level of water scarcity seen in the western part of the country, but as concerns over groundwater quality and quantity increase, it may be necessary to explore alternative production strategies. Drip irrigation has been shown to allow for significant reductions in water and nutrients by better localizing applications in the crop root zone where they can be delivered only when needed by the plant. Also by creating a drier micro-climate in the plant canopy, the risks posed by plant diseases, which thrive in moist conditions, are also greatly reduced. 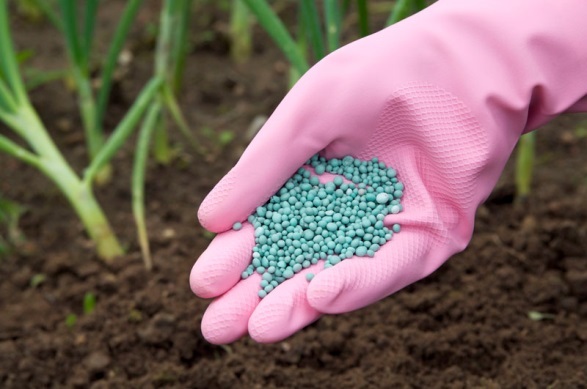 Drip irrigation can provide additional advantages such as a precise delivery system for plant protectants without harming beneficial insects or the environment. With these benefits, why don’t we see more drip irrigation used in Wisconsin? Simple, the high costs of implementing this technology have limited its use, and it remains unclear if these benefits could justify its use in more humid climates with a drought-sensitive crop like potatoes. Looking to the future where sustainable use of water resources in potato production has emerged as one of the industry’s highest priorities, Sarah Page, a UW-Madison Masters student in Agroecology and Horticulture under the direction of AJ Bussan, has conducted research trials at the Hancock Agricultural Research Station to address just those questions. She compared tuber yield, size and processing quality under standard center pivot irrigation practices and three rates of drip irrigation for commonly grown potato varieties. She found little effect of irrigation treatment and in most years and with most varieties, there were no differences in total yield or tuber size distribution. Surprisingly, the lowest water application rate for drip irrigation yielded slightly higher than the other two rates. This was likely due to increased nutrient leaching under the more heavily irrigated plots, which was supported by nitrate levels detected in plant tissues. A potential negative consequence of lowering irrigation amounts could be drought and heat stress on the tubers, which could have negative consequences for processing quality. However, when Sarah looked into this, she found little effect of irrigation treatment on reducing- sugar content – a contributing factor to undesirable dark colors when potatoes are fried. Sarah’s research shows that it was possible to reduce water application rates by 25% without negatively affecting potato yield and quality attributes. That’s a lot! There are many steps that need to happen before drip irrigation could be economically feasible and sustainable on a large scale in the sands of Wisconsin, but it’s one more potential tool to add to the box. For more information, contact Sarah Page at sapage@wisc.edu. 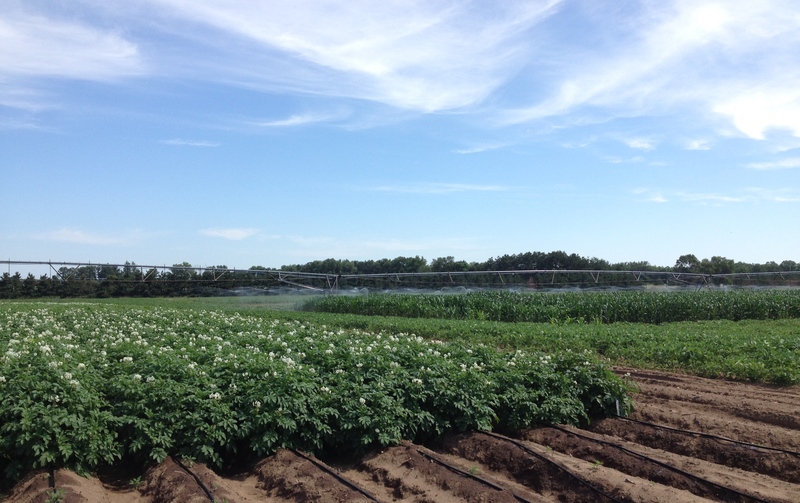 Water use is a critical issue in central Wisconsin, and the Wisconsin Potato & Vegetable Growers Association (WPVGA), as well as its grower members are committed to the judicious use of this most precious resource. WPVGA formed The Water Task Force in 2009 to bring together resources and expertise to foster the sustainable use of water resources in the Central Sands. The committee was also formed to develop and promote responsible water use practices that will protect the groundwater aquifer of the Central Sands and its associated streams, lakes and wetlands. The goal of the Wisconsin potato and vegetable growers is to do this in a way that ensures a sustainable agricultural industry for future generations, fosters vibrant rural communities and respects the needs of all its citizens. A new report released by the Wisconsin Department of Natural Resources (Feb 12,2013) stated that power generation and municipal uses account for 85% of total state water use compared with 4% by agriculture. Even in Portage, Adams and Waushara (among the highest use counties), municipal withdraws were higher (42%) than agricultural irrigation (33%). These counties “comprise much of the central sands area of the state known as a globally significant vegetable production region” according to the DNR report; production and processing of specialty crops, which are concentrated in the region, contribute $6.4 billion in economic return to the state and generate almost 35,000 jobs. In recent years, concern over water use and availability in the region has sparked debate over the impact of climate, irrigation, and municipalities on groundwater resources. While climate is an impact that local growers have no control over, they do have the ability to impact the efficiency of irrigation, especially during the peak use in July and August when crops require the most water. Mike Copas, field manager from Russet Potato Exchange, explains the importance of his irrigation strategy as “a complete approach to conserving the resource by supplying only what the crop needs. We understand the importance of managing our water resources wisely and are utilizing the most advanced technologies to be the most efficient in our usage for our potato and vegetable rotations”. 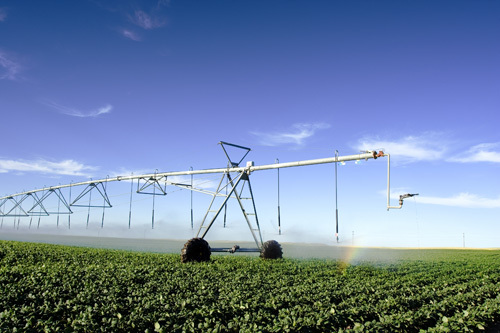 The majority of growers use center pivot overhead irrigation systems, which are monitored continuously to ensure uniform water distribution, precisely control the amount of water applied, and operated during off peak hours whenever possible to conserve energy demand on the system. To increase the efficiency of these systems, growers are adopting a range of cutting edge technologies including variable-rate precision irrigation, deficit irrigation and drip irrigation. Sophisticated irrigation scheduling programs have been developed and used to precisely match water applied to crop need and thus eliminate waste. However, growers are now pushing the envelope further by mapping the varying soil types and their ability to retain water across fields; water is applied at variable rates according to crop need in a new technology termed, “variable-rate, precision irrigation,” which has been shown to not only save water but increase crop quality. Additional technologies are also being tested in research funded by the WPVGA that include crop varieties and landscapes that require less water, withholding water during non-critical growth stages (deficit irrigation), and drip irrigation. Together, these innovative approaches make a difference. As Mike Copas concludes, “water management is a complex task, and we use all our tools to manage it as effectively as possible. As a grower and land manager, I want people to know that we are working hard to maintain our water resources. They are an integral part of our farming operation, and to maintain it for the long-term, we will utilize our water correctly”.